I feel like my career as an artist has involved a series of BIG, usually SCARY/EXCITING leaps. First was quitting my ‘career’ to get a ‘bridge job’ to help me transition into painting full time. Next was quitting my other work entirely (a couple of months before the 2008 financial crash….eeeeeek!). Then it was my hubby leaving his work to support my work. We’re going PRO with our videos. No more me creating the videos at home. This step is MASSIVE. It pushes me out of my comfort zone. being ‘out there’ on the web like this is very SCARY. But being out of your comfort zone (this is the same when you’re painting) is where you develop and improve. And I knew I had it in me to present the video tuition in a more engaging way whist still keeping the PAINTING the star of the show. So I’ve ‘felt the fear’ and done it anyway. Love your new space/studio. Look forward to watching your new classes. I can’t wait to see the first one. So happy for you, Anna! You deserve this stunning new studio and all of the blessings that come with it. Your photos and videos are always a bright spot in my week. Congratulations from Lawrenceville, Georgia, USA! It’s beautiful! I can’t wait to see the new videos. Wow – how exciting Anna, looking forward to seeing you on the videos which I know quite a number of us have experienced on your craftsy classes. I know we are all going to love it. Thank you for making this leap forward. We appreciate it. What a beautiful studio and I look forward to the product of excellence that has always been the earmark of your training. You inspire me to always strive for excellence and to commit myself, wholly, in whatever I am creating. The tutorials and support from you and other members encourage my growth and I find you, Anna Mason, to be amazing. Well done. This is exciting! I love it! Can’t wait to see them…think it will add allot of new depth and interest to the learning experience! How marvelous! I’ve learned so much and really look forward to seeing how you mix your colors precisely!!! Lovely space and a great video! Congratulations on feeling the fear but saddling up anyway!! Anna, this is no big surprize to me. What attracted me to your classes in the beginning was your up front friendliness, enthusiasm and expertise. Taking all these leaps of faith to improve presentation, just reinforce my impression that you are a wonderful Artist, Teacher, and source of encouragement and inspiration. Congratulations! Your studio looks fantastic Anna. I look forward to seeing your new videos. I hope it all goes well for you. Best wishes. Fabulous! Congratulations Anna! I love your step by step videos. Congratulations! Your studio is beautiful and I’m looking forward to your new videos! I have been following you for a long time and received a fantastic boost when I first painted your strawberry and realised that I could do it so much easier with your techniques. So I have just joined the school and now it gets even better. So pleased that you and your business are thriving. Absolutely gorgeous! As a fellow artist and one who also makes films, I know how hard it is to get in front of a camera and to commit to believing in yourself by investing so much time, energy and funds to this new endeavor, but it is clearly worth it. I’m really looking forward to seeing the results! I can’t wait to see your first video. Wow, this is great. I already love everything you do and you have helped me more than any other Watercolor teacher. I look forward to this new approach. The first thing that I felt was, “Oh gosh, I just joined the school, have all of my supplies and paper and now all of it is for naught; it is all going to change”. Well I was glad to hear it was only the studio and that you are going to make more videos. There is nothing unprofessional about your videos and they are very, very, instructive. So keep on moving forward and I am looking forward to the new videos. Awesome! I’m looking forward to seeing your new videos! Best of luck! Congratulations Anna. Looks wonderful. Look forward to the new videos. Congratulations Anna. I am so happy for you. You deserve it because you are so awesome ! So Exciting!! You look fabulous and have such a great camera presence, very confident and relaxed. I can’t wait! You’ll do great Anna. You’ve taken the next step in your art classes. I hope it all turns out well for you and for us, your students. What lovely light at your new stage presence. When is your first video going to be released? August? I can hardly wait. This is SUPER EXCITING, Anna!!! A perfect evolution for you and us! I know how great you are ‘live and in person’ from doing your Seattle workshop, so now everyone can get closer to that experience. Congratulations on your new studio and filming process! It looks great! That’s is awesome. The space looks fabulous. Congrats! I am confident the videos will be even better than before and look forward to seeing them. Your videos were already very good, but this looks even better. I’m looking forward to the first video in the new format. Good for you! You will do great! I’m very happy for you and I’m looking forward to your new videos. Wow ! Watercolour with even more wow ! Every congratulations to you. Looking forward to the new look tutorials very much. How very exciting Anna, can’t wait to see these new videos. You are a natural teacher so the new look will only enhance what you do. Fantastic and well done. Congratulations on being so successful that you can make this step! Cheers! Congratulations Anna. I look forward to your tutorials. You are so inspirational, Anna. Thank you for all you do to share your knowledge and love of painting with all of us. Well done, Anna, you are an inspiration! It’s fun to be a part of your evolution; the lighting and sound are great. Looking forward to seeing the tutorials. It’s so nice to see you thrive! One reason I joined your class was in hopes of supporting your efforts. The other of course is to get more of your excellent and very clear, very inviting, very encouraging, tutelage. I have to say I am SO jealous of that excellent light in your work space! Anna, this is fantastic. I’ve only been a member of the school a few months, but a fan for much longer. I can’t wait to see the new look, new lighting, and new palette! Wow, tube paints and a porcelain palette (not entirely surprised about that part). I know it’s going to be great. Congratulations. I’m thrilled to see how successful you are because you deserve it. It’s fun to be going on this journey with you. Congrats on going PRO, Anna! No doubt you and yours can do it! ‘Feeling the fear… and doing it anyway!’ 🙂 Love it! Having you visible in the video’s is so exciting and even more personal! …already loved that with the Craftsy one’s! You’re great and truly such an inspiration! As for the butterflies… let them flutter and dance! You are a Winner, Anna!! I have been so pleased with what I have been learning from you so far that this will just be an extra plus. Keep up the great work. I look forward to your tutorials and comments each month (it’s one of the highlights of my month)! Nice one Anna, video looks professional but natural ( just like yourself ! ). Congratulations on your progress! It’s great to be able to grow your business an we as students benefit! Congrats! Congratulations Anna! Oh What a leap and a career progression..can’t wait for the upcoming tutorial in your great studio space..Always lovely to be a schooler! Good luck! How exciting for you and us! I just joined and am having a great time. I was hooked after my craftsy class. Looking forward to your new videos. Anna, you keep inspiring us with new lessons, videos and trying to get us out of our comfort zone! You are amazing and I applause you and your husband for taking risks and taking your videos to another level. Thanks for the info and I’m looking forward to your new adventure. Hi Anna, Congratulations on your big step! I have enjoyed your Craftsy lessons and your watercolour online school experience. I am so excited for you and your husband. Looking forward to experiencing the new WOW! I don’t know why my comment did not show up but I’ll try again. Your new studio is wonderful. I feel like you are right here in the room with me. Reminds me of the Sarasota workshop. Best to you in all of your endeavors. So happy for you Anna. The new studio looks wonderful. Congratulations on taking the plunge! I am so glad for you and your husband! You have certainly worked very hard and deserve this new adventure !! I just joined your class last week, but I could immediately see how dedicated to your work you are. You are so thorough in your teaching and so perky, you make me want to be just like you!!!!! I am looking dorwa s to painting along with you in your new studio! May God continue to bless you as you keep helping others! Looks pretty cool Anna – keep up the great tutorials! This will be great! I am so happy for you! Looking forward to the new experience! Wonderful look – can’t wait for your next video!! Wow Anna!! U r looking so gorgeous and completely cool in your new studio. I have always admired your video quality and eagerly waiting for the new videos as then I will be able to see you while you paint. The studio looks great! Can’t wait to see the lessons. Congratulations! I’m so happy for you. Continuing your journey is exciting and scary. We all have faith in you, and your ability to accomplish what you chose to do. Best wishes from Hamilton, Montana. This a great step forward Anna. I’m sure you will be brilliant doing this. I wonder if somewhere down the track we will be seeing a virtual Anna in our studios? Best wishes. Wow Anna it looks great. What a big step, I’m very glad you made the step. It’s wonderful. Congratulations! Glad to hear this news. Looking foward to your new videos! Very nice Anna, I look forward to the new format. Well done Anna and Hubby you so do deserve the magic for all the hard work you have put in. i am very excited cannot wait . Everything looks and sounds very vibrant. Being on the deaf side I am delighted that I can receive you loud and clear. Well done Anna for being so brave – you are going from strength to strength and deservedly so. Thank you for your sharing your time and talent. Bravo on the new videos! Congratulations Anna on taking this brave step but I’m sure it will be a huge success. Can’t wait to see it in action. Thank you so much for the beautiful comments everyone. Feel so pleased you’re excited too! Can’t wait Anna :)!!! Love this school!!!! Wow Anna. You go girl. This is a great set – you look great on camera and speak so well. – not to mention your powerful teaching technique. I wish you all the best and look forward to watching. Enjoy the journey !! Oh Anna, I love your previous videos, but this new step is absolutely amazing. You look and sound fantastic, and the set is so bright and so “you”. Good for you for taking the leap. Can’t wait to join the school. (I’ve only done the pear and bought the Rose from Craftsy. Waiting for paints before joining the school. I didn’t think I could be more excited, but your excitement is contagious. It’s obvious that you feel more professional, and your lovely personality shines through everything you do. Congratulations!!! A very good start, Anna. Only one negative comment, and that is that your waving hands are very distracting. Please try not to wave them around so much as you speak. Lovely! all that is missing is the tea! Well done! Wonderful area to paint! Congratulations Anna! You deserve it – you are a fantastic artist! Good news, Anna! I love everything you paint and will enjoy your new environment along with you. So congratulations and all the best! You are such an inspiration, thanks for all that you do sharing your skill so that we can improve ours! Best wishes for your new venture. Studio looks great. Look forward to watching. I just want to add to the seemingly sparse male comment entries! Just joking, as your tutorials are excellent for anyone who wants to learn from the best. The new videos will make it all even better. Your excitement and joy is contagious. Enjoy! It looks beautiful. You are very sweet, thank you for doing this…I hope someday to join the school for step by step tutorials! Much love and luck! You look great! You are right the lighting is just right, the colors are bright and vibrant, the focus is sharp, and the setting is very engaging. A step up from YouTube, more on a level with Crafty or a television series presentation with authority. Congratulations Anna. I’m excited for you. Also, let us know when you might offer another 50% discount for your annual sign-up on your classes. I love your work. Watching your technique has helped me develop mine. Oh Anna! I’m so excited for you! Your set looks lovely and I know that you will do a wonderful job. If I can just say this…don’t let this new more “professional” place steal the joy you have for painting. I love your work and even bought myself an easel just like yours. I had to smile when I saw your square plate because I just did the exact same thing! 🙂 I pray the Lord blesses your new endeavors as you paint the things He has made! Blessings and Congratulations to you! Hi Anna, the studio looks great. I love the clean and uncluttered look – and that lighting is fantastic. Super job. Anna ~~ This is more than fantastic, it’s inspirational to see your plans go beyond your comfort zone. Learning to paint with you is stretching my comfort level and feel my skills grow in a positive direction with every video. Bravo Anna!! Fantastic!! This is a wonderful step in your art. The only scary thing is to stand still and not go forward. I have appreciated your previous video tips so did not think they could get any better but I do like the look of your new surroundings. Continue to enjoy inspiring us all. Keep up your painting tutorials, they are much enjoyed! With your wonderful talent, you can’t help but succeed. Wishing you the best. Beautiful, it looks and feels very professional yet homey and relaxing!! Love it! All the best in your new endeavor! Oh…..I am so proud for you. Keep up the good .. .GREAT….work and congrats. Atta girl! You go for it! Congratulations on your new look and pro videos, it looks fantastic ! Wishing you best of luck Anna and hurray for being such a courageous woman! Congratulations…You felt the fear and kept doing it anyway. And here you are, sharing your beautiful work with so many. Wishing you continued success and thanking you for your generosity. Just to state the obvious, the real test is how well the painting action itself is filmed and edited. To me, it’s important to be able to see the reference material at the same angle & lighting you see it, the palette as you mix colors, and the brush strokes up close. I’m looking forward to seeing a preview, and perhaps joining the school. Congratulations Anna. I am looking forward to watching your new lessons from your new studio! Congratulations, Anna! The space is beautiful, as are you and your paintings! I am SO happy for you – to be brave and take leaps as you have. Just amazing. 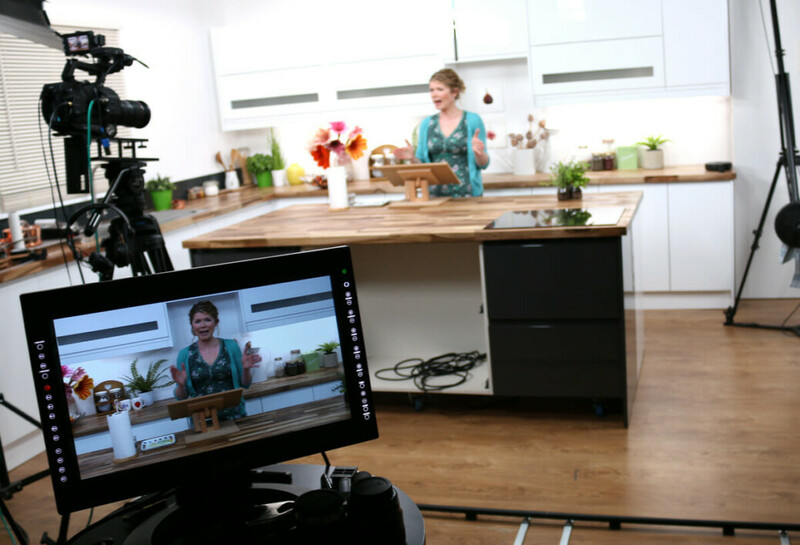 Your new filming studio look fabulous and so do YOU! Anna, your a natural!!! You look fantastic! Congratulations on your new life. I know you will do great and I am looking forward to learning a lot of new painting tips from you. Anna, It’s always inspiring to make a change, isn’t it? Your new environment is bright and cheery and I’m sure it will be a lovely setting to film your new tutorials. I’ve watched many of yours and almost 100 full tutorials on Artist Network, but still haven’t picked up that brush. I know, I know, it’s called fear of failure. I know there’s no substitute for putting miles on my brush. But for now, I feel more comfortable in the kitchen. Couldn’t I just come and cook with you? All kidding aside, I know I’m getting close. I look forward to watching and learning from you as you make magic in your new kitchen/studio. Best wishes. Big step but you are up to it little Sis. You go for it big time! 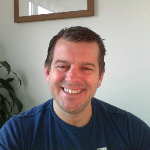 I loved your old site and the personal touch but you are developing new wonderful skills and lots of confidence. Well done and I wish you well with it. Your work is amazing. Looks great Anna. Looking forwards to receiving your first new look video. You look very relaxed. Always liked your voice, so it hasn’t changed! Look forward to seeing you again. It looks wonderful. You really are brave to take this step but it looks like you are totally on the right track. Looking forward to more videos. Congratulations! I am those impressed and inspired by your leaps !!!!! Good for you Anna, hope the new videos are a great success. Wonderful artwork awaits! Congratulations Anna. It’s lovely to see you on a big screen. You look very relaxed and fab. Well done. Good luck in your new venture.. Great videos. I wish you all the best on your new venture! It’s a gorgeous space and no doubt will result in even better tutorials as you’ll be energized just by entering! Wow how fabulous! Love this first one – the setting & lighting are perfect & you look great ☺. Congratulations on stepping outside of that nice cozy comfort zone. You inspire the rest of us. Congratulations Anna….wonderful opportunities are happening for you! So great all of this exciting news. Can’t wait to do my next project watercolor with you!.. Looks great and looking forward to seeing them! Congratulations:) Thank you for taking this leap and welcoming us all with your intro, you look beautiful indeed everything looks beautifully bright. I always feel so encouraged when I see your videos can’t wait to see them in the new studio. Hi Anna. Love the new videos and amazing studio. Can’t wait to see more. So exciting!! Beautiful Anna. You are so delightful to watch in any setting. Thank you for sharing your gift. It looks great, Anna. You do such outstanding work and should have an outstanding studio. Can’t wait to see more. I purchased a few of your classes on Craftsy and would love to know more about your videos here. Always good, now even better! Great work, love that you push barriers and your success is just reward. Congratulations Anna. I am very excited for you and I am positive that you will continue moving forward on the successful path that you are traveling on. My very best wishes for you. Lovely, congratulations and yes it is indeed it is a great leap! An update.. above I clicked on the still image and didn’t see any video in the new window… however in the “scary email” there is a text link just above it.. which took me to the page and showed the video -yay!- maybe it’s just gremlins in the links? Anna Do you have DVDs to buy? I have your book however a Dvd would be wonderful. Congrats Anna. I’m feting the fear now coz i quit the job. But a good sign is i already bought your brushes though. LoL. It is a good start, right? It’s a great start! Can’t wait to see some paintings! Well, congrats! You look comfortable in your new workspace. It looks a bit like the spaces where my favorite cooking shows are taught, I.e.,Ina Garten and Giada D.
You seem to have Done it. Enjoy! Wow! This is truly a BIG LEAP! You keep on improving Anna, and it really inspires a lot of us… Mabuhay!!! God be with you always! Congratulations dear Anna and your family. You have come very far because of your vision. It is an inspiration to me. Your English Rose was the first of my practice to understand the art of painting in April, 2016 and I didn’t stop painting since. As requested, comment on your clip that the decoration in the back should be your wonderful painting instead of things. However, you are very beautiful one. You are an amazing artist who makes painting relaxed fun and inspiring. Keep painting !! looks great, very professional, clear and concise. well done. Hallo Anna. Really inspiring with your new studio.. Congratulation. Looking forward to follow you and your wonderful watercolour. Best wishes from Sonja. You’re a star Anna – brilliant! Hi Anna, congratulations! what a light and also home-ly studio you’ve got. Brilliant! Wishing you a lot of succes and fun to create beautiful art and may you inspire the world with your knowledge and experience. Lots of love from Holland. Dear Anna, I have been following your work through your emails for a long time now and I simply love it! 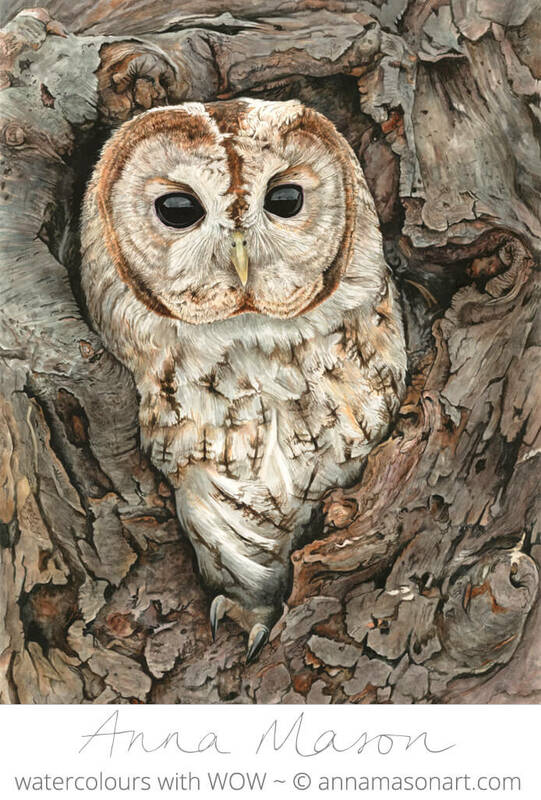 I believe you are wonderfully inspirational and a very talented watercolourist . I am sure this new step will be another successful adventure for you. Regretfully, I still have not followed through your very professional tutorials – I am not very comfortable with spending a long time in front of a PC. My loss! Do you ever give live workshops in the UK? I started following you from my home in France and used to think that it would be too far to join a workshop if you ever decided to organize one in the UK.. Well, I am now living here and wonder if a live class would be in your future plans? Perhaps the fourth” leap”? Good Luck with your new venture Anna. Your videos up to date have always been professional and exciting so I look forward to this new adventure. Congratulations! Everything I’ve seen you do previously has always been really great, so I imagine this will be even more exceptional. Congratulations Anna – I’m so happy for you! Everything is going to go well! Congratulations and Best Wishes to Anna and the Team! We all know that this will be a very special venture for everyone. Very pleased with your news and thank you for sharing this. WOW, Congratulations, certainly a big leap to take, the unknown is always scary ! Although I am a former student of yours, I plan to restart in the near future… I hope you will give those like me a taster video ? We are hoping to redo some of the more popular older tutorials and may have all tips are now shot in the studio too! Congratulations Anna, looking forward to watching your step-by-step tutorials in your new studio. How wonderful for you. Congratulations! I can’t wait to see them. Congratulations! Awesome just like the teacher. Absolutely wonderful! I am nearly as excited as you are! Looks like it will be a fantastic ‘upgrade’ for us all! Congratulations! Congratulations on the scary new step. What a gorgeous new studio! Every month I can’t wait to see the new video, now the anticipation factor is on overload. Very polished, professional and appealing! Well done! Congratulations! Congratulations, Anna. I’m really excited to see you painting in person! Awesome, Anna! Can’t wait to see them! Don’t worry Anna! You know we adore you and enjoy your method so much. This is just growing pains that comes with success and proof that your method for watercolor painting works for so many people. Enjoy and know you are among friends. How exciting! Looking forward to see that! Even though I think all your videos are great so far! 🙂 Thank you Anna for so much inspiration! Can’t wait for a few more hours to pass by so we can all see your next video in this new way! You’re incredible! Congratulations on your new space! I can’t see why you should worry at all! You are a Pro in every way! Longing to watch more!!! Go Anna , Go ! Wish you success, in your hep studio. ! Very exciting Anna I am looking forward to seeing your videos. When I played your introductory video back there was a slight ‘lip sync’ issue where your mouth did not match your words. Not sure if we will see your face much in your videos because the painting is the star but thought you might like to know. Yay Anna so inspiring watching you break through your barriers of fear. The delivery was really good, you will soar! Looks a banner job to me Anna! You have always been very professional from what I’ve seen. This is just adding the spit and polish! Your star is just shining brighter. Congratulations, that’s one more stepping stone in place. Hi Anna, I’m looking forward to signing up with your school again. Life got in the way for a while there, and it looks like I’m ready to come back at EXACTLY the right time!!! Way to go! 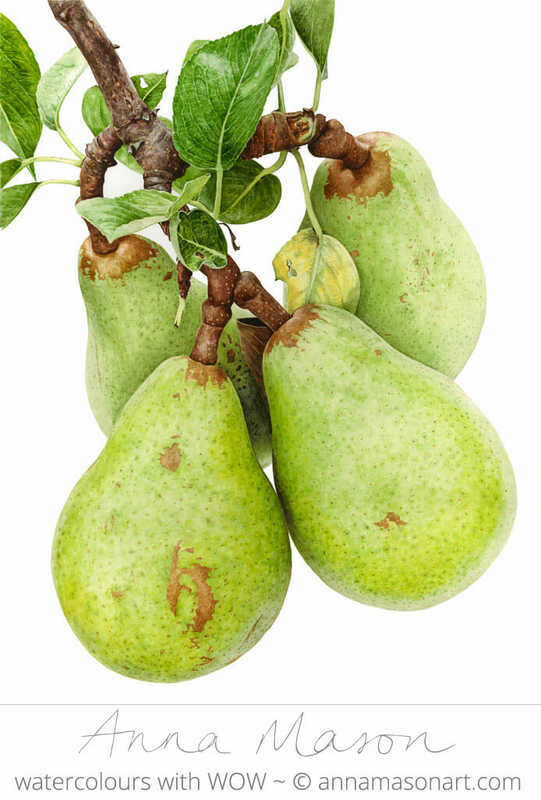 I met you years ago in Birmingham, Anna, and did with you the very first watercolour painting (pear) of my life. I was one of your very first online students (until I broke my shoulder) And I am not surprised that your career as a painter and teacher moves in big leaps. Always knew you got it in you! All the best for the next big steps! Outstanding, Anna!! You are beautiful and your work is incredible!!!! I’m thrilled for you and can’t wait to see where your work takes you next! 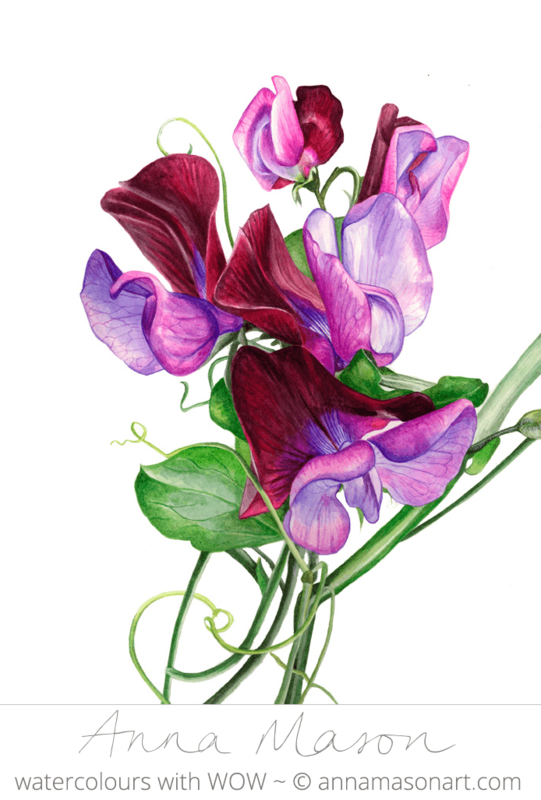 Fantastic Anna you and your work is amazing…onwards and very much upwards.Will try to get to the Wisley. Beautiful space! Your teaching style is wonderful and you were made for the camera! I just finished watching your Pear class and will begin my journey later this afternoon and am looking forward to trying your techniques and joining more classes. Your artwork is as lovely as you are. Wish you and your family well on all your new adventures. The new video look is very professional. Thank you for sharing your talent and skills. Congratulations! You and your studio are looking great. Can’t wait to see and learn from the next video. Thank you for being Brave! You are helping me to be brave, too. And, your classes are amazing and the best I have found. I’m learning so much, and more importantly, I am really enjoying painting again. Thank you!!! Congratulations Anna, no wonder you are so excited… the space looks brilliant. The new look is fabulous and you look so professional in front of a camera. I love your art tips.